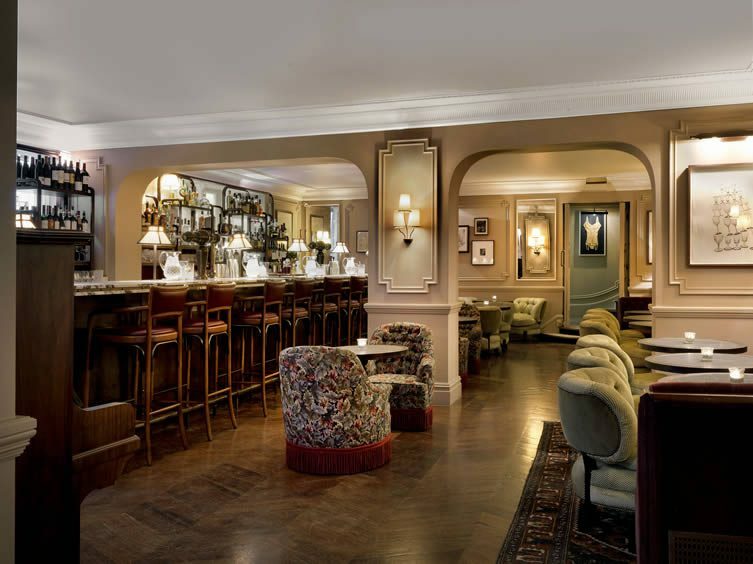 Recently opened Kettner’s Townhouse is a restaurant and champagne bar with 33 rooms. It is the latest Soho House Group manifestation, and the first stand-alone hotel and restaurant open entirely to the public. The group’s members’ club feel continues throughout, however, and no expense has been spared in restoring and evolving the London restaurant institution with distinct interiors and styling. The storied dining room goes back to its roots, and holds all the hallmarks of its colourful history. 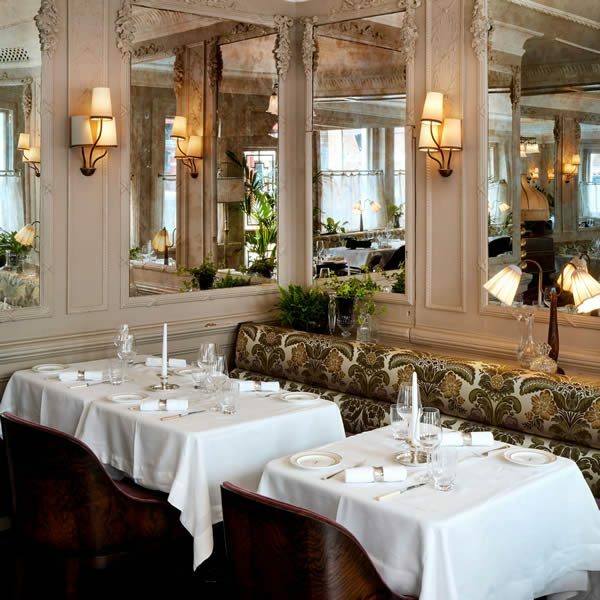 Established in 1867 by chef Auguste Kettner, Kettner’s became the first restaurant in London to serve French cuisine. Back then, the somewhat shady neighbourhood of Soho was noted (and avoided) for its theatres, actors, immigrants, and risqué nightlife; and Kettner’s latest incarnation gives a knowing nod to this colourful history. 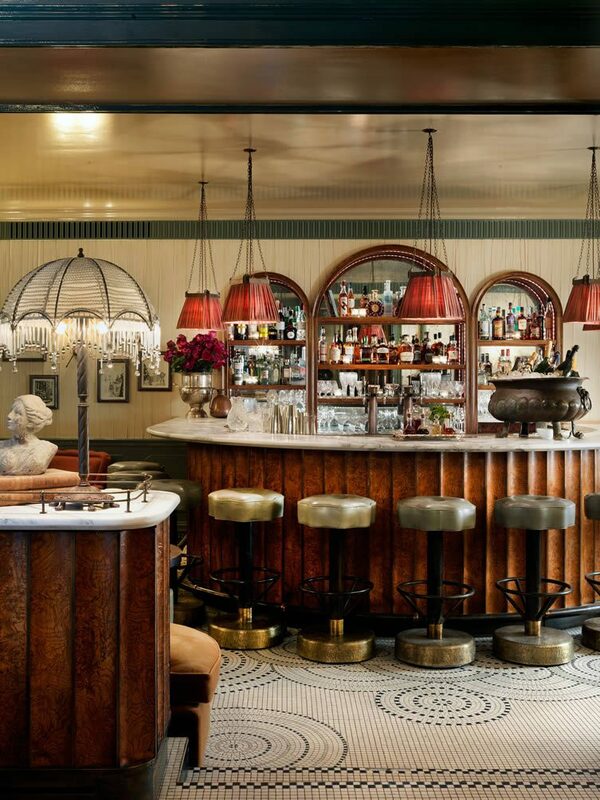 While Auguste’s restaurant remained open throughout two world wars—entertaining eminent names such as Sir Winston Churchill, Agatha Christie, and Oscar Wilde—stints as Pizza Express would follow before the Soho House Group acquired the Georgian building several years ago with a dream to revive its more prestigious legacy. Celebrating Soho and its local community, visitors can expect a mix of history, heritage, and exceptional attention to design detail at the reborn Kettner’s Townhouse. 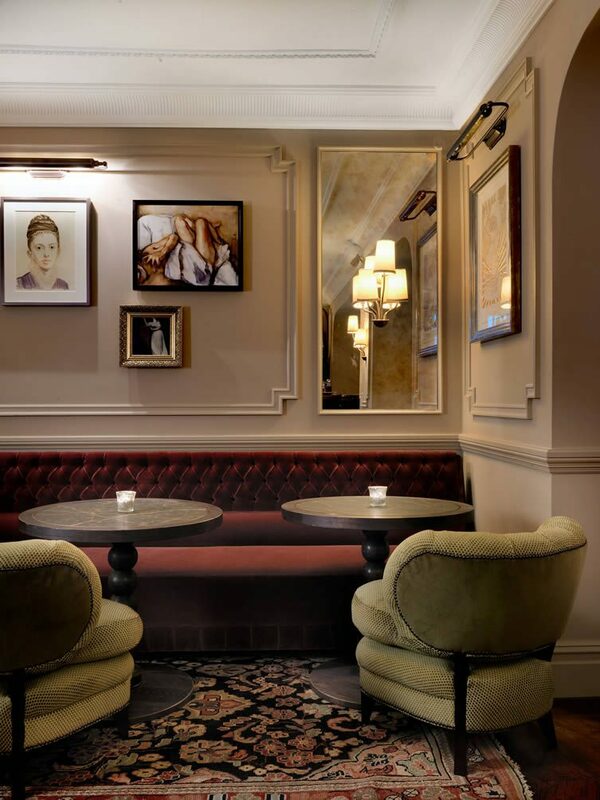 Downstairs, the champagne bar, piano bar, and restaurant exult in 1920s romantic Parisian aesthetic, whilst upstairs the rooms are inspired by the Arts and Craft Movement; rooms feeling a little like William Morris himself was in charge of ornate styling. Finely-crafted damask motifs and weaving prevail among the textiles, while a mix of antique accessories, mahogany floors and furnishings, brass fixtures, multiple lamps, and marble tops finish off the visual. Lighting is another key aspect to the overall vibe—complemented by low ceilings and a relaxed palette that offers a cosy and comfortable feel to every nook and cranny. 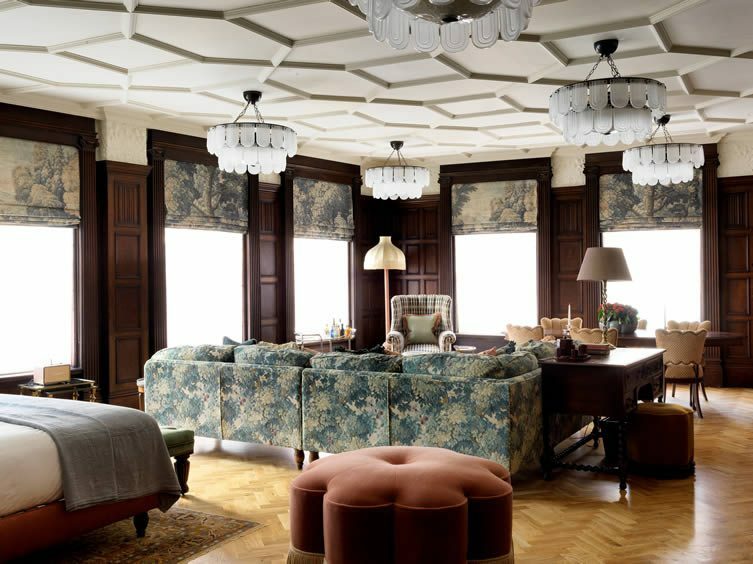 The bedrooms sweep you away to a bygone era, the ornate appeal of the Arts and Craft Movement keenly felt; it all feeling a little like William Morris himself was in charge of styling. 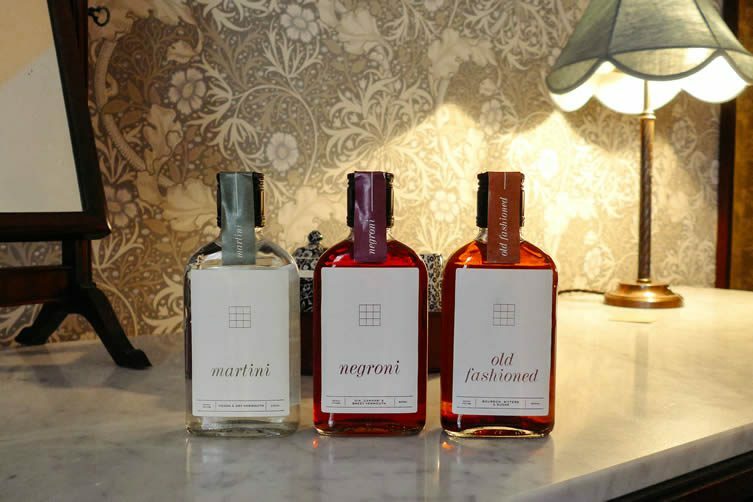 Elegant bathrooms are brimming over with Cowshed’s latest lotions and potions—presenting that omnipresent dilemma: to bag or not to bag?—whilst every modern need is thoroughly considered with universal chargers, Marshall Bluetooth speaker, and retro Roberts radio. An amply stocked bar features in-house pre-bottled cocktails, champagne, freshly pressed juices, and British artisan tipples including Cotswolds dry gin and Bruichladdich Islay Barley single malt whisky. It’s difficult to tear yourself away and venture downstairs. Should you manage, you’ll find a vibe that is thoroughly convivial, with public spaces packed to the rafters with happy patrons dining, drinking, meeting, and dating. Tucking into breakfast in the Grade II-listed dining room, including eggs with Exmoor caviar (champagne optional, but encouraged). 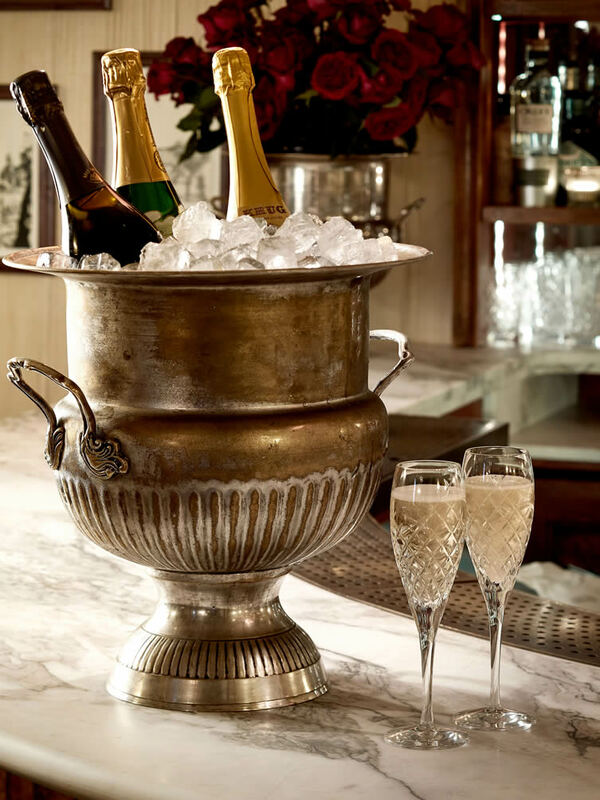 Absolutely everything at Kettner’s embraces old school elegance at its best. Food is classic French with a British influence. 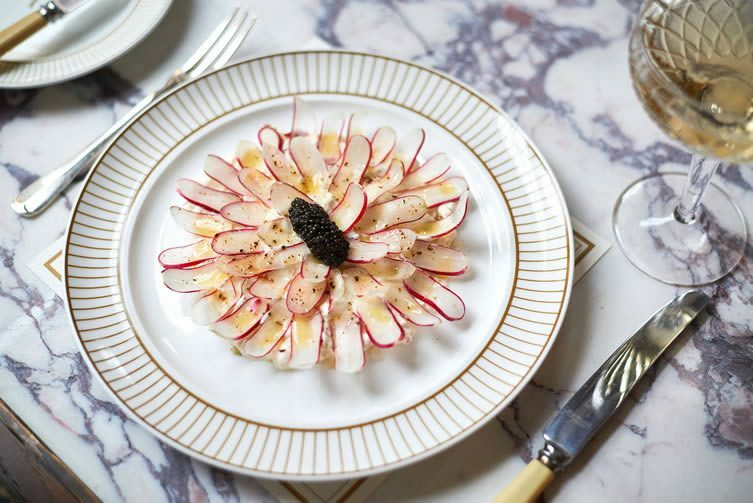 Heavy on Perigord truffles and Exmoor caviar, there are big and small plates that cater for every whim. The Gruyere gougeres, along with raw Gigha halibut are worth every penny; and, while one is a homely and moreish snack, the other is a labour of love in terms of presentation. 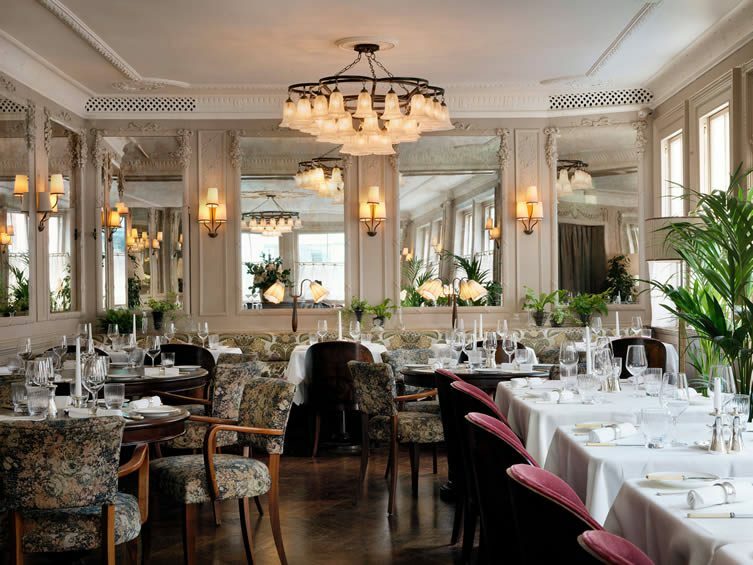 Fish, salads, meat, and more await hungry diners, although it’s easy forget you’re eating and become transfixed by the restaurant’s classic interiors with Grade II-listed details; including coving, silverware, flowers, and an almost cinematic atmosphere. 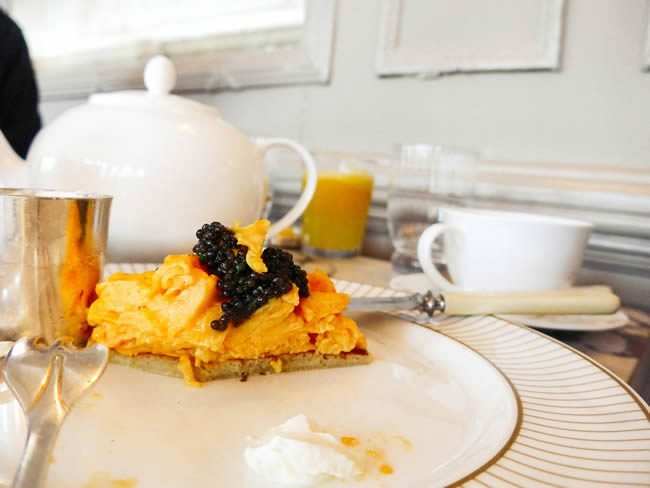 By day, the restaurant retains its luxurious brasserie style as light beams in through the half-covered windows and breakfast is served with impeccable service, complimentary orange juice and generous proportions. 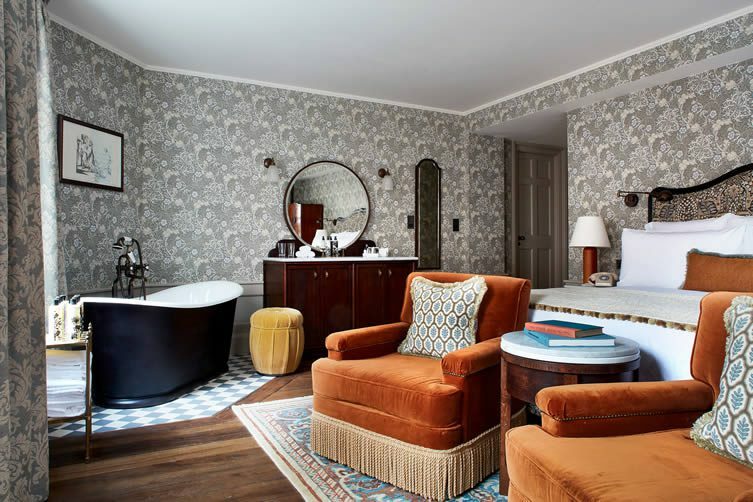 Reputation is everything, maintaining it and staying true to its past no mean feat, yet Soho House Group has done the heritage behind Kettner’s Townhouse proud; reigniting fond memories and creating brand new ones. A triumph in forging atmosphere and style. 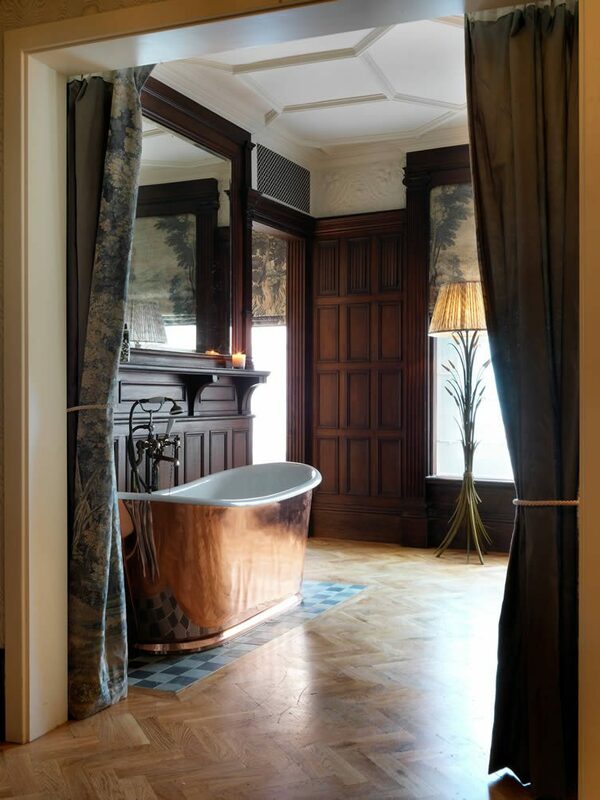 Each room at Kettner’s Townhouse comes with an amply stocked bar features in-house pre-bottled cocktails, champagne, freshly pressed juices, and British artisan tipples including Cotswolds dry gin and Bruichladdich Islay Barley single malt whisky. 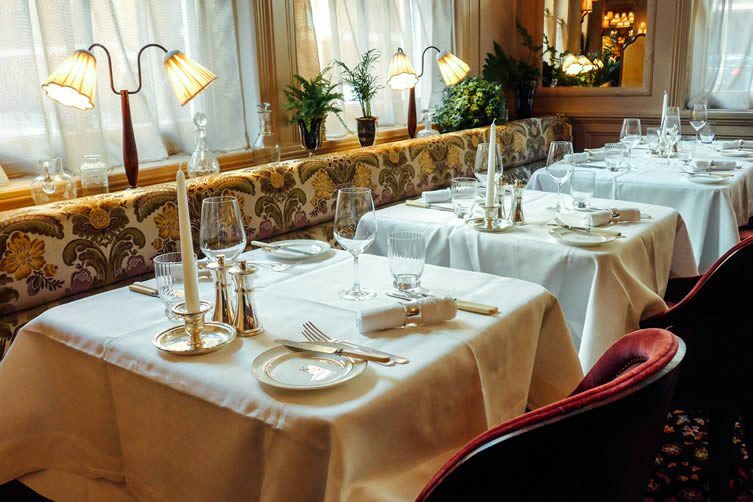 Fish, salads, meat, and more await hungry diners, although it’s easy forget you’re eating and become transfixed by the restaurant’s classic interiors with Grade II-listed details; including coving, silverware, flowers, and an almost cinematic atmosphere.